A growing conspiracy theory suggests the Moon is occupied by advanced aliens that have banned humans from returning. The theory links in with others that claim there are alien bases on the dark side of the Moon. In a feature devoted to the theory, conspiracy theory website Ancient Code said: “Have you ever asked yourself why mankind has not returned to the moon in recent years? “According to many researchers and Ufologists, the American space agency is hiding a sinister secret from society, and we are not familiar with everything that has occurred—and is still occurring—on the surface of the moon. “Many people claim there is enough evidence to suggest there are alien bases on the moon. 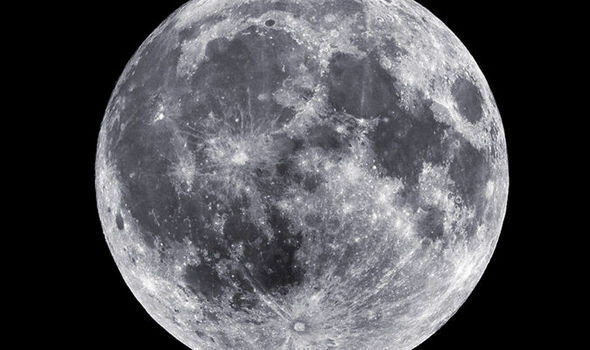 Some conspiracy theorists claim the Moon is now out of bounds to humans. “Rumours, declassified documents, and whistleblowers have come forward saying that agencies around the globe simply cannot afford to let society know what’s really on the moon.” The theory suggests that NASA astronauts during the moon landings met with aliens, who eventually warned them not to return. The website added: “The idea that there are alien bases on the moon would explain why we stopped so abruptly going to the moon.”Also, with our current technology, why haven’t we created a permanent manned outpost on the lunar surface?”Wouldn’t it be easier to build a permanent structure on the surface of the moon, than to have a floating space station orbiting around Earth?”The far-fetched theory goes onto suggest aliens are mining the moon of its resources, and UFOs, that allegedly visit Earth, are stationed on the moon. The late Dr Harold Urey investigated lunar science from the 1950s. The Moon is a no-go area, claim some conspiracy theorists.